Tortola is the largest of the British Virgin Islands. With a population of just over 21,000 this stunning island has lush green mountains at its centre and velvety white sandy beaches dotting its northern shoreline. Tortola has some wonderful beaches and is one of the best places to explore. 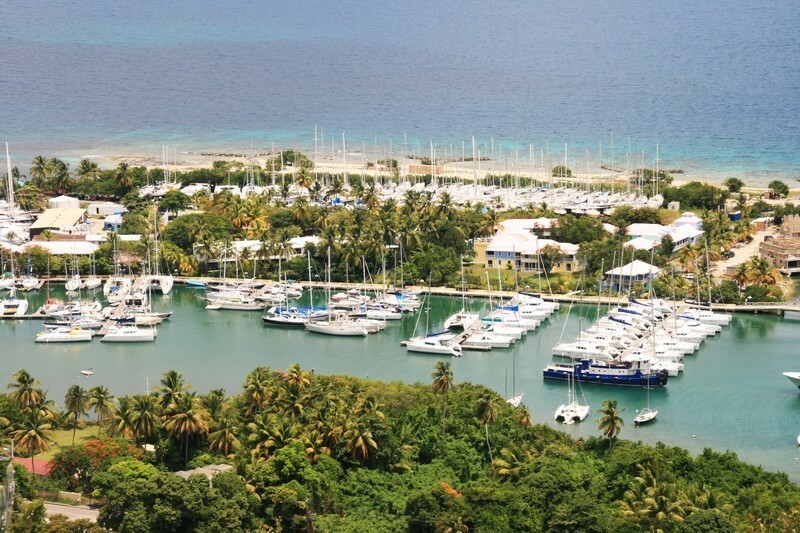 Visitors love to locate ancient ruins, discover hidden bays, taste the unique local cuisine and enjoy a variety of Caribbean vacation activities. Tortola is peaceful and is rarely crowded, unless a cruise ship is in port. The best beaches are on the northern coast, especially Cane Garden Bay with its fine white sands, sheltering palm trees, gentle surf, and clear waters. Virgin Gorda is one of the most well-known of the British Virgin Islands and is home to the world famous Baths – a collection of huge granite boulders that stand at the water’s edge, on the pristine white sand, and are a reminder of the volcanic origins of the island. The Baths are one of the best places to go snorkelling. Arrays of tropical fish live amongst the tunnels and crevices formed by these enormous granite boulders as they meet the sea. The Famous Baths are best to be visited after 4pm in the afternoon when the cruise ships have disappeared and you can enjoy them all to yourself! Virgin Gorda enjoys a gentle pace of life, with days generally spent on the beach, watching the sea for dolphins or whales. Those seeking a bit more activity can take to the water for snorkelling or diving. The waters around the islands are filled with underwater caves, lava tunnels and dramatic ship wrecks so there is a variety of sites to suit every level of diver. 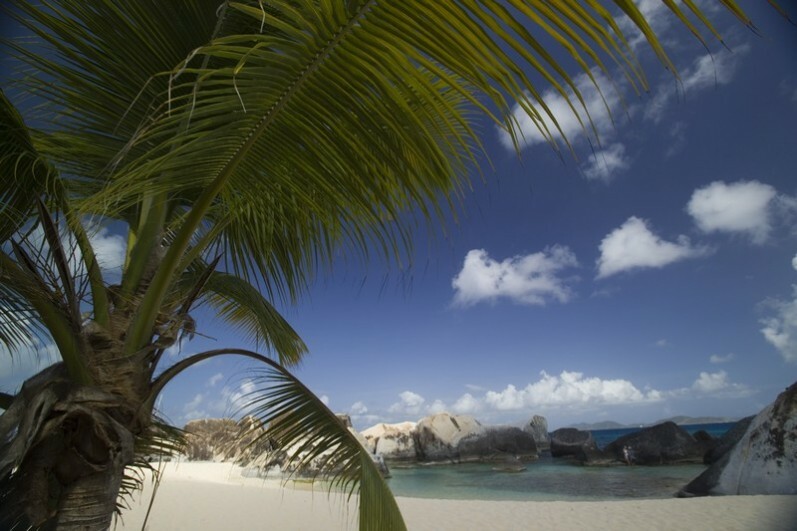 Virgin Gorda entices travellers with its yacht clubs, quiet coves, safe anchorages and luxury resorts and villas. Exceptional Villas provides some of the most stunning luxury villa rentals in the BVI here on Virgin Gorda. Virgin Gorda is not a place known for its shopping, but if you wish to spend a few hours looking for souvenirs perhaps, the Yacht Harbour at Spanish Town has a small selection of shops that sell items including traditional crafts, beachwear, jewellery and gifts. Anegada is the only coral island in the Virgin Islands’ volcanic chain. Measuring 11 miles by three, its highest point is just 28 feet above sea level. Located about 20 miles North East of Tortola, the sparsely populated isle is ringed by white sand making it a beach lover’s dream. 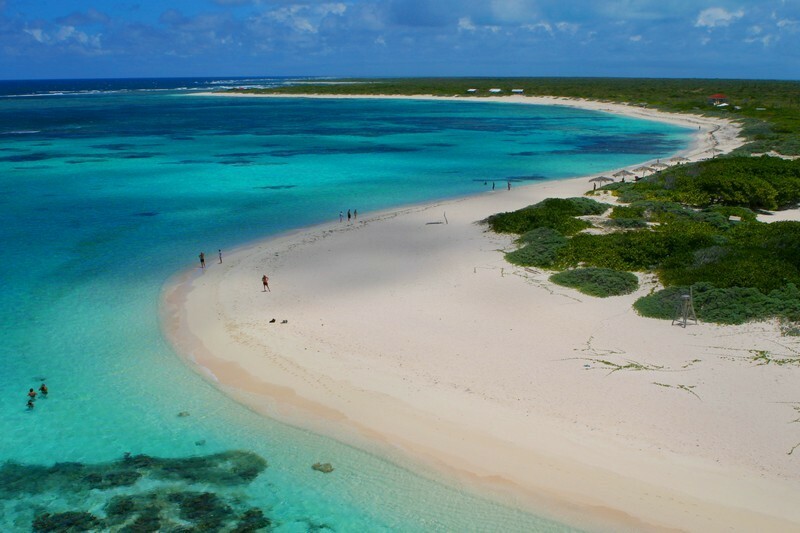 Much of the low-lying island is surrounded by the extensive Horseshoe reef and is inhabited by fascinating fauna including the Anegada Rock Iguana and Roseate Flamingo. 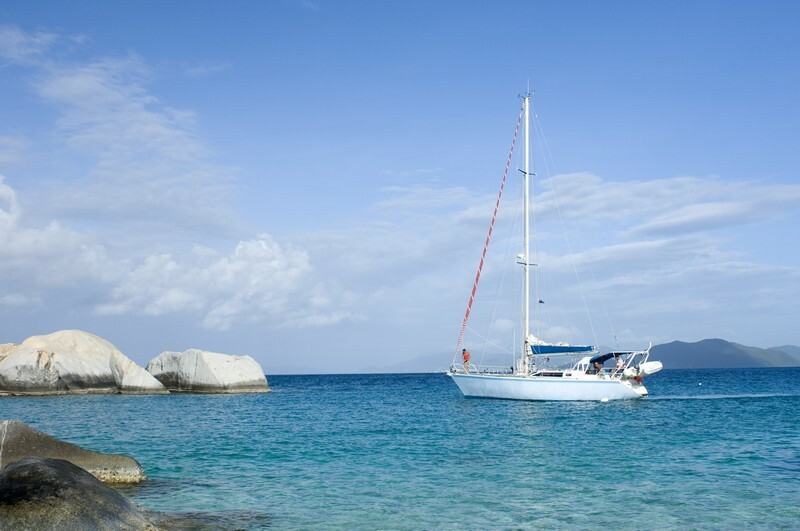 Jost Van Dyke, located to the North West of Tortola, has its own laid-back charm. 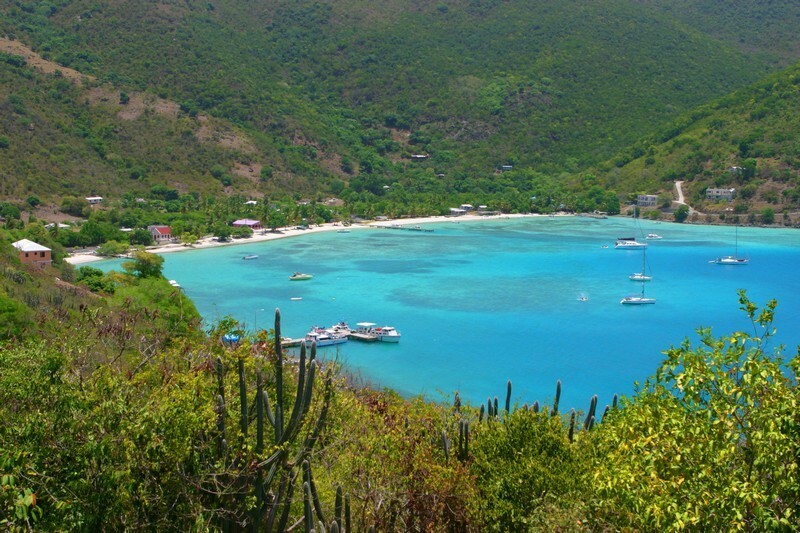 It was named from an early Dutch settler and former pirate, Jost Van Dyke. The rugged scenery and colourful folklore make up Jost Van Dyke. With fewer than 300 inhabitants, it measures just four miles by three, with the highest point at 1,054 feet and has been home to Arawak Indians, Caribs, Dutch, Africans and the British. The island has some of the most spectacular beaches and some very entertaining beach bars. Great Harbour has some good restaurants and a beautiful white Bay to its West has become popular with boaters and day trippers. Necker Island is a true paradise. Created by Sir Richard Branson, Necker Island is one of the jewels of the British Virgin Islands. Necker Island is located to the north of Virgin Gorda, one of the country’s larger islands. Its Caribbean location means that Necker’s 74 acres are surrounded by beautiful turquoise waters, coral reefs and gorgeous sandy beaches. The island is simply exquisite. Necker Island is available for rent in its entirety. The island offers one of the most memorable experiences for a wedding in the BVI or a private party.